Here's another in the series of building practices that drive me crazy - recessed can lights. They're so popular that some remodelers carry a shotgun and walk through the house randomly shooting holes in the ceilings to install them. Those of us in the home performance/energy efficiency field look at these lights as abominations. But you can get models that are rated for insulation contact and are air-tight, so that makes them OK, right? My buddy (and EVER rater) Sean Lintow has recently reported on the demise of the can light, writing their obituary and even following it up with a 'Part Deuce.' Would that it were true! He makes some good points about lighting in his article, but alas, the can light is still alive and sucking (energy, that is). My main beef with this cloddish light is that it destroys the integrity of the building envelope. If you've read my Building Science 101 article and other posts on the building envelope, you probably know that I'm a big fan of a having as clean a building envelope as possible, with a continuous air barrier and minimal thermal bridging. The big problem with can lights, in my opinion, is that they're often installed in the building envelope. Once there, they interrupt the air barrier and increase the infiltration rate in the house. They also interrupt the insulation, and any reader of Flat or Lumpy or my attic stair post knows that even a small flaw there can have seemingly disproportional consequences. If they're installed in a ceiling with attic above, it's certainly possible to get enough insulation in that part of the building envelope. As you can see in the bottom photo, however, simply putting batt insulation on top of the can lights is not adequate. Hot or cold attic air goes right under the insulation, rendering it useless. The best way to insulate this ceiling would be with a blown product (cellulose or fiberglass). When recessed can lights are put in vaulted ceilings, however, it's nearly impossible to get enough insulation on top of the can light. In the worst cases, the can lights themselves practically touch the roof deck, creating a thermal bypass that speeds the heat loss in winter or heat gain in summer. Not good! I'll leave the issue of light quality to the experts in that field, but on the grounds of building science alone, the can light should be canned! Being a SIP builder, can lights are not and option in our building envelope. It always surprises me how much that disappoints my clients. They love those things. Sometimes it almost chases them away from SIPS all together. Stephen, I think they're so popular just because they're popular. A lot of people want them because that's what other people have. Kinda crazy. John, Yeah, I agree. I like wall sconces, too. We have been doing quite a bit of air barrier repair on existing houses and have found that people do love their can lights. We have been removing the bulb and trim from can lights and sealing the can with a mastic, caulking around the can frame and the drywall hole, then re-install the trim and put a CFL bulb in the light. The CFL burns at about 130 degrees vs the incadescent at 300 degrees and will not trip the thermal switch in the can light. We also remove the plates from electrical boxes in the exterior walls then pull out the device and caulk around the knock-outs, re-install the device and caulk around the box and drywell, then re-install the plate. 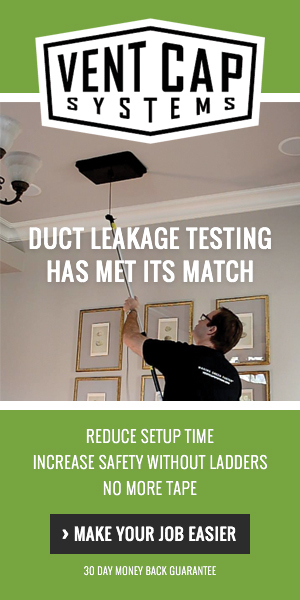 We treat hanging lights, ceiling fans, smoke detectors, HVAC grilles, bath fans, etc. the same way. Removing the interior trim from exterior doors and windows and sealing around these openings, as well as drilled holes in the top plates in the attic and sole plates in the crawl space is about as far as we have gone, but it does make a tremendous difference from a blower door test-in to the blower door test-out for air change improvement. We believe in spray foam to seal attics and crawl spaces, but sealing the drywall holes is more economical for most homeowners and the results are so dramatic that the customer will usually take the next step and go after the thermal barrier as well. I work on a number of older homes solving "building problems" and have found a number of them with extensive can lights in the ceiling to have high levels of interior mold. Lotsa chimneys sucking conditioned air out of the building enclosure to be replaced with nasty, damp crawl space air = ideal conditions for mold growth. It takes a bit of education to convince residents that the reason they are having respiratory/allegy problems is because they have recessed light fixtures! The new houses we are building should never have this problem, but there are a lot of older homes out there that need our attention. Why aren't models that are rated for insulation contact and are air-tight alright? Other than removing the cans and sealing up the holes, what is the best solution to air seal and insulate over the can? Are there retrofits to seal the can from the light bulb side? John D.: ICAT can lights are OK in some applications. They still displace insulation in vaulted ceilings and could create thermal bridges if they contact the roof deck, though. Good questions about how to fix them once they're there. There are some products you can buy to cover them from the attic side if you can get access to them. Some lights also have airtight trim kits you can install from below. What about those recessed florescent kitchen ceiling lights (with those big plastic panel covers and wood trim)? Are they just as awful from an energy / building envelope standpoint? And, if so, what do you put in place of them (i.e. how do you make them go away)? I just purchased a new condo with recessed lighting in the (very high) vaulted ceilings. My realtor's inspection noted that one of the bulbs was out which brought up the question..."how in the world do I change these light bulbs?" I have no room for a 19' or so ladder in my unit; is there some sort of gadget you can use to reach the bulbs and replace them, or do I have to call a professional to change a freaking light bulb?